Just as Apple® made mobile phones fun, intuitive and appealing, Infomous is revolutionizing the way people explore information online. 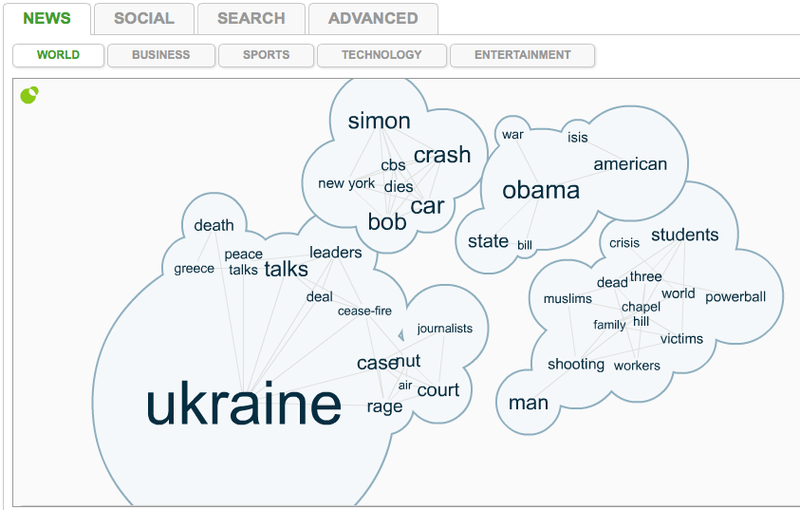 Their interactive word clouds give you a visual snapshot of what is trending, and lets you explore what is relevant to you in a simple, intuitive way. See what’s happening in today’s news, follow the latest social trends, or easily find the information you were searching for. Infomous can take thousands of search results and organize them in an easy-to-understand visualization that shows you what’s important, what’s related, and where you should focus. It lets you search broadly, quickly and easily, uncovering possibilities you might never have discovered otherwise. Click below to create your own word cloud on Infomous.com!